Learn to design the world’s most effective corrective and performance exercise programs in this empowering course. 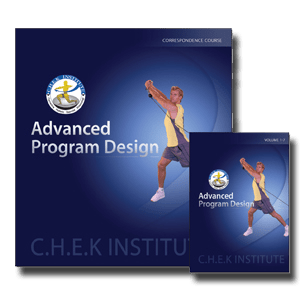 Based upon Paul’s two-day seminar, Advanced Program Design will stretch your mind to reach beyond the usual components that make up an average program. 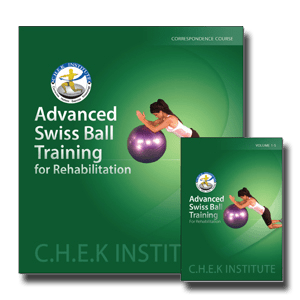 This course shows you how to apply the science of biomechanics and kinesiology to advanced assessments and functional training techniques using the Swiss ball. Paul shows you how to use the Swiss Ball for rehabilitation and injury prevention. You will learn how to identify postural problems and instabilities using Swiss ball assessments. Paul presents his scientifically founded approach to training females. Based upon current research and years of clinical experience treating orthopedic disorders in women, this seminar is sure to provide a paradigm shift for the exercise professional. Today, despite the fact that we have more medical, sports and exercise technology and more doctors per capita than ever in history, we have more orthopedic injuries in almost every category recorded! It doesn’t have to be that way. 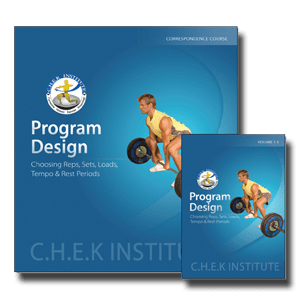 Paul Chek shares his unique approach to preventing orthopedic injury and improving performance through nutrition and optimal motor engram programming. 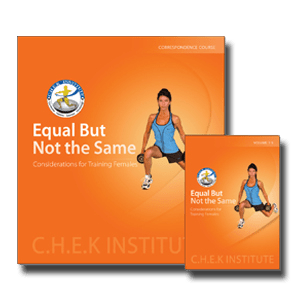 A key skill for any fitness professional is being able to design individualized exercise programs that will lead to optimal performance for all types of clients; this correspondence course teaches you to do just that! You will learn how to combine and manipulate acute exercise variables: reps, sets, loads, tempo and rest periods in addition to a variety of periodization concepts. 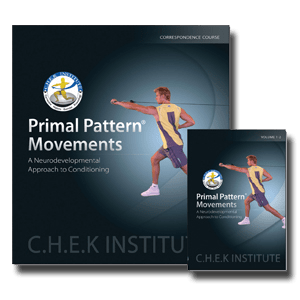 This comprehensive correspondence course is intended for serious strength and conditioning specialists, rehabilitation specialists and personal trainers. 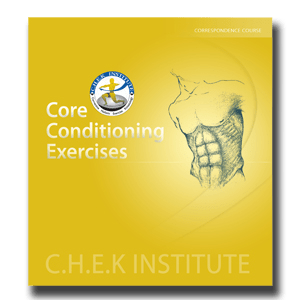 The course reviews and analyzes the biomechanical intricacies of stabilization exercises as a necessary prerequisite to general strengthening of torso musculature for patients, the general public and athletes. 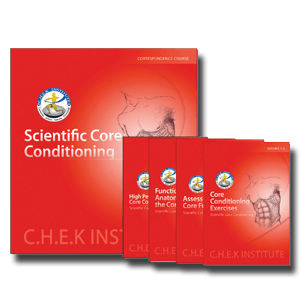 Scientific Core Conditioning is the most comprehensive, in-depth course available on this subject. 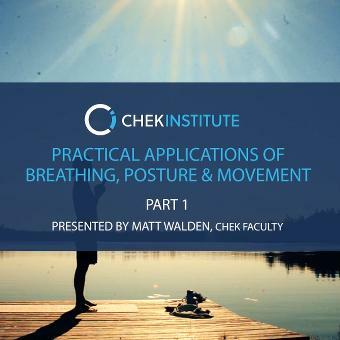 Expand your knowledge of the abdominal musculature and its biomechanical relationship to the entire kinetic chain, when applied to the prevention of back pain, maintenance of good posture and optimal sports performance. 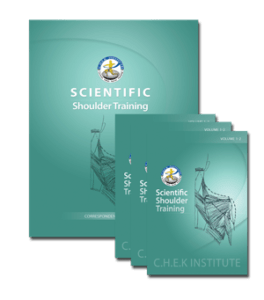 This comprehensive and informative correspondence course takes you on a trip through the functional anatomy of the shoulder and shows you how you can develop preventative, performance and corrective exercise programs better than ever before. 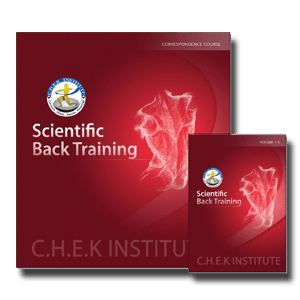 Developed by Paul Chek, this course is based upon the tried and tested methods he has used over 28+ years of successfully working with clients who presented with all types of shoulder pain and injury. 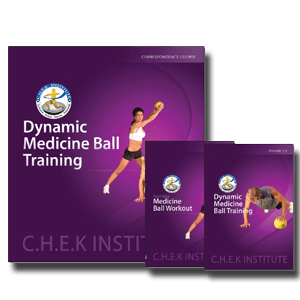 Developed by Paul Chek, the pioneer of Swiss Ball training for athletes, this course will teach you how to use this excellent tool to improve balance, posture and dynamic strength, plus train righting and tilting reactions. 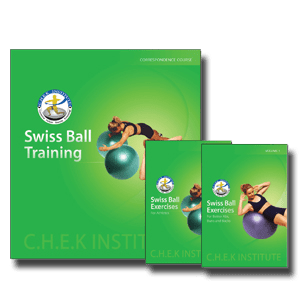 Used in rehabilitation since the 1960’s, Swiss balls are now becoming popular in training environments. There are literally hundreds of uses beyond performing a crunch over the ball! However, as with any training tool correct usage is essential to achieve the results you are seeking. CECs and CEUs: Coming soon! Below you will find the individual sub-courses for Scientific Core Conditioning. Please use the links below ONLY if you have purchased or wish to purchase the sub-courses separately. 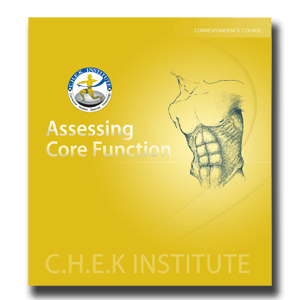 Assessing Core Function is a sub-section of our best selling Scientific Core Conditioning course. In this course you will learn how to assess cervical flexion activation; transversus abdominis function; lumbo-pelvic stabilization mechanism; oblique muscle balance; lower abdominal strength and coordination; gross lumbar abdominal strength and stabilization; upper abdominal strength; lumbar curve, how to perform deep abdominal wall exercises, and the proper activation of the thoraco-lumbar fascia system for total body stabilization. Functional Anatomy of the Core is a sub-section of our best selling Scientific Core Conditioning course. In this course you will understand the functional anatomy of the abdominal muscles, cervical flexors, psoas and quadratus lumborum, understand the two major support mechanisms a functionally trained abdomen provides to the low back, understand the importance of tongue position during abdominal exercises, understand the function of the abdominal wall and its relationship to the entire kinetic chain, understand the effects of abdominal muscle imbalances, and learn postural considerations for your clients. 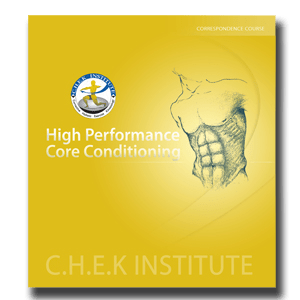 High Performance Core Conditioning is a sub-section of our best selling Scientific Core Conditioning course. In this course you will define what is considered an athlete, determine if your client is qualified to perform high performance core conditioning exercises, understand the effect the speed of an exercise has on the bodies tissues and joints, understand the different planes of motion of the body, understand what righting and tilting reflexes are and their applications to power training, determine the order exercises should be placed in for safe and effective results, learn a variety of power phase exercises for the core.